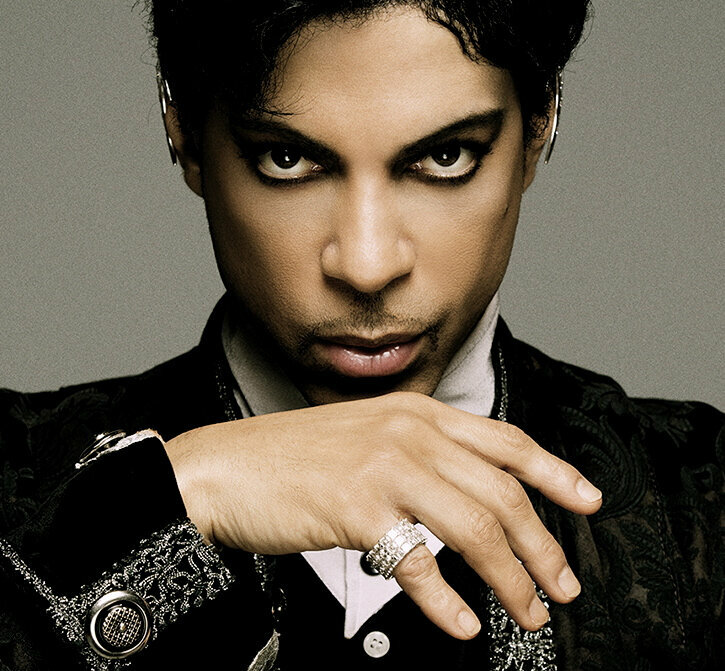 Prince Coming to Denmark in August!! Forums > Concerts > Prince Coming to Denmark in August!! It is with immense pleasure and pride Denmark's Most Beautiful Festival can now present one of the international music scene's biggest names as a performer at this year's festival. Prince has even wanted to give a concert in the beautiful setting of beech scene in Skanderborg - and do it under the title "The Beautiful Experience". With the desire to do its part to create a very special and particularly beautiful day in Skanderborg. Princes concert at Denmark's Most Beautiful Festival will be the last plank in the first day at the festival, Wednesday 7 august. Less than 800 km drive, honey we go to Skanderborg this summer! One day tickets for Wed cost 915 kr in total. It is with immense pleasure and pride Denmark's Most Beautiful Festival can now present one of the international music scene's biggest names as a performer at this year's festival. Prince has even wanted to give a concert in the beautiful setting of beech scene in Skanderborg - and do it under the title "The Beautiful Experience". With the desire to do its part to create a very special and particularly beautiful day in Skanderborg. Princes concert at Denmark's Most Beautiful Festival will be the last plank in the first four festival, Wednesday 7 august. Prince released his first album back in 1978. He really broke through in the '80s with masterpieces such as "1999", "Purple Rain", "Parade" and "Sign O 'The Times". Prince is an artist, where a rare degree makes sense to use the term "superstar". An artist with so strong a talent that the American magazine Rolling Stone does not just have him on its list of "100 Greatest Artists" - but also on the list of "100 Greatest Guitarists", "100 Greatest Singers", "500 Greatest Songs of All Time "and" 500 Greatest Albums of All Time "! Princes total record sales have topped 100 million copies and it has been underway for more than 30 Top 40 singles in the United States. As a performer's Prince in a class of its own - and will Smukfest in the company of his amazing band NPG, which include count the Danish bassist Ida Nielsen. Smukfest 2013 from 7 - 11 August, with warm up and Live Camp in love from the fourth - 6 august. Info Beautiful ManiFest tickets and accommodation facilities you will find here . Haha.. Hopefully that won't happen again. Great I live nearby.. and I wish I could go..But I can't for personal reasons.. I'm hoping for another NPG Festival as well (he did promise us another one in 2012 ) But def thinking about going to Smukfest. I've never been there but I've heard Bøgescenen is a great place for concerts. But it'll be pricey going all the way from Copenhagen to Skanderborg. Here's something I want to know about these festivals that Prince plays at. Is he the headliner for a day, as in there are other bands before he comes on? If so, does he play a full concert or a shortened one? It's just that I don't fancy standing at the front the whole day watching other music that might do my head in, & also not be able to go get food/refreshments or to the little girls room cuz I'd lose my spot at the front. I love Prince, I mean love him, but my body couldn't physically manage no loo breaks for so many hours! Total impossibility! Or on the other hand, these festivals only have him on that day & it's more like a outdoor Prince show like Malahide was. I can do that! How did Hop farm go? Were there others billed before him? It just puts me off in my older years! That's actually a good question. When I was in line for Bruce at Roskilde last year, we sat in a line right next to Orange Scene and wrote a number on our hands. That way we could go in and out of the line the whole day to get food and such. But I'll ask some friends if it's the same at Smukfest. I'm kinda thinking it is. So the W2A tour is over??? I'm hoping it's over! He's calling this one The Beautiful Experience. It is with immense pleasure and pride Denmark's Most Beautiful Festival can now present one of the international music scene's biggest names as a performer at this year's festival. Prince has even wanted to give a concert in the beautiful setting of beech scene in Skanderborg - and do it under the title "The Beautiful Experience". With the desire to do its part to create a very special and particularly beautiful day in Skanderborg. Princes concert at Denmark's Most Beautiful Festival will be the last plank in the first four festival, Wednesday 7 august. Prince released his first album back in 1978. He really broke through in the '80s with "MASTERPIECES" such as "1999", "Purple Rain", "Parade" and "Sign O 'The Times". Prince is an artist, where a rare degree makes sense to use the term "superstar". An artist with so strong a talent that the American magazine Rolling Stone does not just have him on its list of "100 Greatest Artists" - but also on the list of "100 Greatest Guitarists", "100 Greatest Singers", "500 Greatest Songs of All Time "and" 500 Greatest Albums of All Time "! Princes total record sales have topped 100 million copies and it has been underway for more than 30 Top 40 singles in the United States. As a performer's Prince in a class of its own - and will Smukfest in the company of his amazing band NPG, which include count the Danish bassist Ida Nielsen. Smukfest 2013 from 7 - 11 August, with warm up and Live Camp in love from the fourth - 6 august. Info Beautiful ManiFest tickets and accommodation facilities you will find here. Thanks for all the info serpan!! That's a really long way out for Prince. I say he cancels for personal reasons from having a falling out with Andy Allo or whoever replaces her between now and then. I'm not joking. I just hope he comes to America, before he comes all the way to Denmark! Haha, I love the name though 'The Beautiful Experience' he is taking it back to the 90's! Hahaha! I have hopes to see him THIS YEAR! I for sure, am going to make it happen THIS YEAR! Even if that means going all the way to Denmark! That's actually a five-day pass. He's played Herning and Skanderborg is not that far away from Herning or Aarhus. Or actually Copenhagen for that matter. They called him a plank! Lol! Homer Simpson: "I call the big one Bitey"!! Didn't Andy say that she was going to be playing over there too, so doubt they will fall out any time soon. Skanderborg Festival is in the middle of a forest and there are two main Scenes called Bøgescenerne. This is where Prince will give the concert. I've been there the last 5 years and yes, there will play several bands throughout the day. Prince is set to play as the last band on wednesday. There is NOT a queue as you can imagine in which at Roskilde Festival, so if you want to stand in front line, you have to stand there all day long. ^^Geez, it's a festival. People move in and move out all day long. Only fools stand there the whole day suffering through acts they don't care for. Hmm, as I thought then. Thanks for the info! Doubt the whole festival thing would suit me. Let's hope the setlist includes new music from a new album. The days of paying for flights and hotels to hear Purple Rain and Let's Go Crazy are over. And I don't want to hear any Sly Stone or Michael Jackson covers, either. If I'm paying proper money, I want Prince music.....and new Prince music, at that. If he wants to throw out Purple Rain at the end, that's fine, but a new setlist is BADLY needed.